First of all… WELCOME! 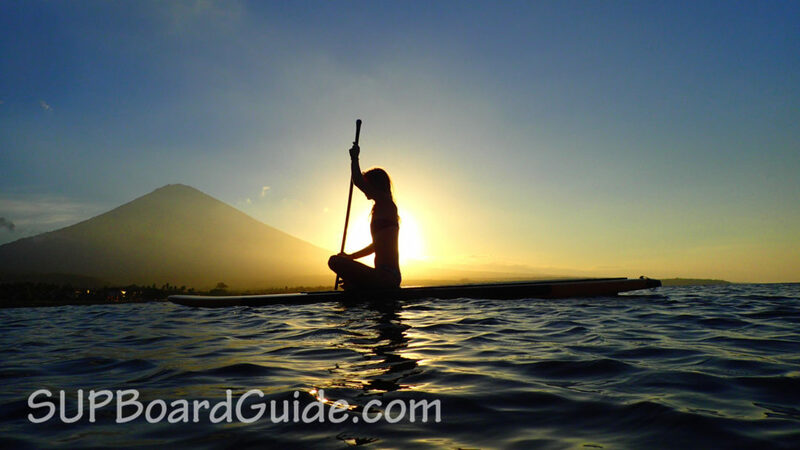 Welcome to the world of Stand Up Paddle Boards. 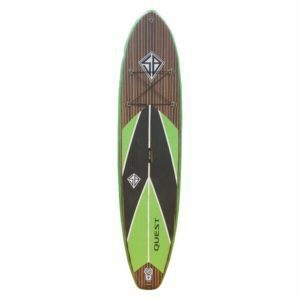 We have big SUPs, small SUPs, fancy SUPs, performance SUPs and of course, the cheap, crappy stuff we will never try to sell you here at SupBoardGuide. Now if you are anything like me you get distracted by shiny things. I mean things that look nice. You can overlook practicality if it has the right kind of aesthetics. But please, don’t. 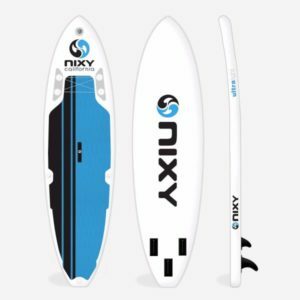 Don’t waste hundreds of dollars when it comes to your first SUP. 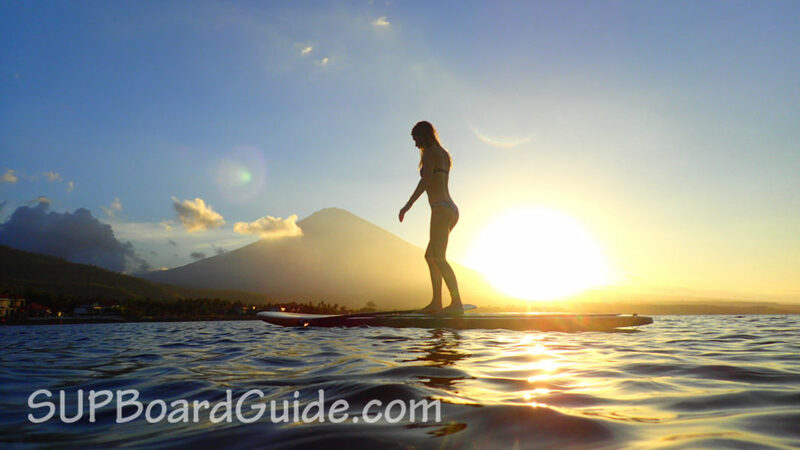 We will help you buy the right kind of SUP for a beginner now and what follows will be a walk in the park, or paddle in the ocean or..you get it. For those you are short on time, we’ve summarised the boards at the end for you! Now you may be set on finding your own board and turn your nose up at our suggestions. 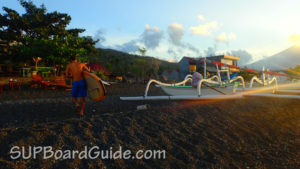 So perhaps information on how to find the right beginner SUP is a good idea? What Makes A Good Beginner SUP? Stability – A board that feels sturdy under your feet is number 1 priority. You’ll have some wobbles to work out so let’s give you the best chance possible in the beginning. Boards that are between 10-12ft are a good start and the width around 32”. The most popular type of beginner board is an all-rounder. Versatility – You don’t want to be constrained to only one area. One, it can become repetitive to only be able to paddle on a lake. Secondly, boards made for specific conditions are what we call advanced SUPs, to get the most out of them you want to have nailed the basics. Getting an allrounder is the best decision you can make as a beginner. 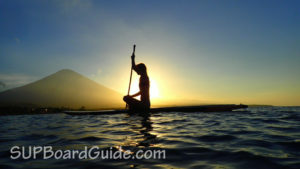 You can enjoy a long paddle on a river but also play around in small waves or light rapids. Affordability – As your first board, you don’t want to fork out thousands. Emptying your wallet takes away a certain amount of excitement and replaces it with anxiousness. You don’t need all the finer details that high-range boards have, you won’t notice the difference when you are a beginner. Boards in the mid-range are where you want to be looking, something between $500 and $1000. Reliable – Getting a board that will last you now means longevity. We can guarantee in the beginning your SUP will take a few knocks and scratches. If you want to keep being able to use that same SUP as you advance, do yourself a favor and shop around with materials in mind. Inflatables use drop-stitching for the innards and it’s highly robust however the outer layering also needs to be tough. Look up reviews, is there any remarks on wear and tear? Triple layered PVC is what should be making you excited. Specs do speak. 10’6 long, 33” wide and 6” thick. Just knowing that ensures stability. Another aspect of dimensions is the wide tail. The surface area of this board is generous, it does hinder the speed, but as a beginner, you won’t notice that. This is where you may ask why not the 10’/11’ All-rounders? Because the Cruiser is practicality the same all-rounder shape. The difference is in width, which does hinder speed as I already mentioned but you won’t notice just yet. So sacrificing a little performance for extra width as a beginner is an outstanding choice. You get everything when you make this purchase too. The board, the bag, pump, leash, and repair kit. Even better the accessories are of reasonable quality. There is an upgrade available for a carbon paddle too. Here is a picture from one of our board tests. The Cruiser is on the left. You usually get the best deal on the iRocker homepage. The board with it all and a little extra something. Not quite as wide as the previous mentioned Cruiser, the Thursosurf is still a dream for beginners. Loading up the board whether it’s gear, dogs, kids or you are a big tall man, will still feel stable. The max capacity is 280lbs and a claim of no flex. 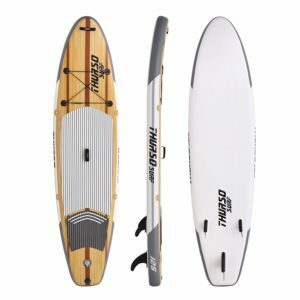 The new fin introduction to the Thursosurf range has pushed these guys to the top in the All-rounder game. Having all three fins removable means, you can swap and switch to get the most out of whatever condition you’re in. Single fin for speed and tracking in flatwater. Then three fins for chop, tight turning and maneuvering in waves. The real selling point is the beautiful design these boards have and the little cooler box you get! You are already getting premium accessories and a tough, durable board. These guys really know how to draw a crowd. The size can be harder for small riders to maneuver. Get the 10’6″ version if you’re not that tall or heavy. You can’t go past these affordable package deal all-rounder SUPs. The Nixy provides you with a sturdy platform for your feet. The Newport is manufactured with fusion laminated technology (which you can read about in depth in the full review). This means not only is it as rigid as a hardboard but also durable. Balance like a ballerina on the boards huge 33” wide surface area. Even the bigger riders will feel at ease with max capacity being 300lbs and the 6” thickness resulting in no flex. Again, another All-rounder that features removable fins (all of them). You can’t get better features for versatility. Particularly, the Newport performs better than All-rounders in small waves and chop. The rocker has a steeper angle than many other boards which helps turn the board into waves/chop without submerging. The downfall is that it creates a little resistance on flatwater. Included is easily the best backpack we’ve seen so far in our years of reviewing SUPs. 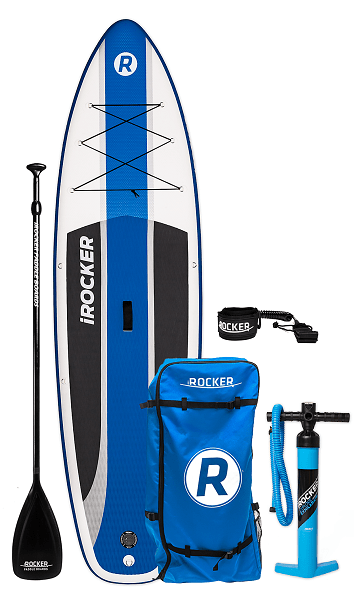 For the price of this SUP package and its accessories, it’s assured you’re getting value for money. 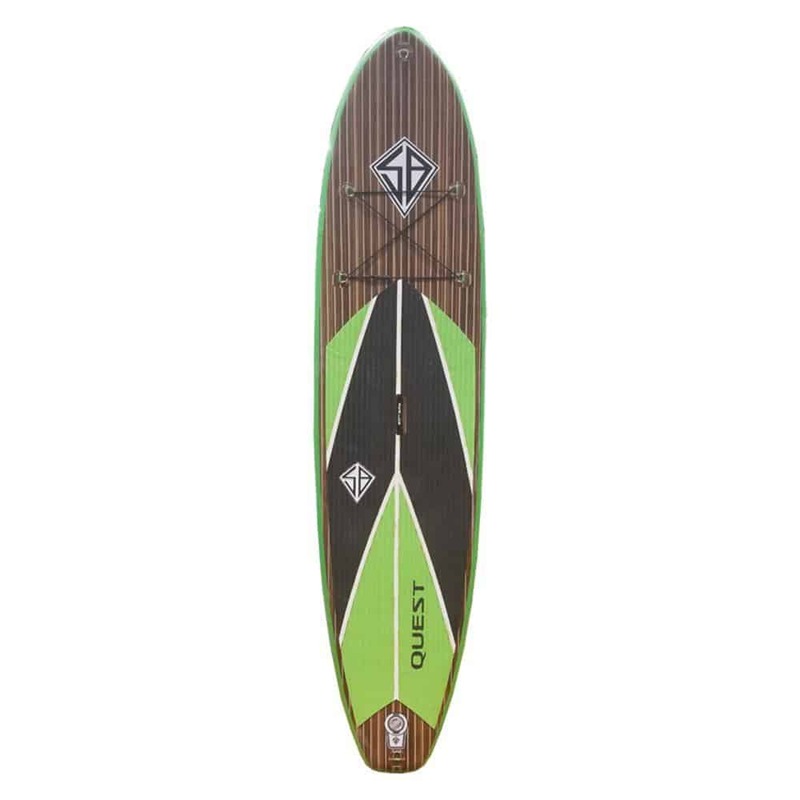 The paddle is passable for a first time user, but you’ll want to upgrade at some point. Being a particularly light SUP (17lbs) some of the ideal audience would include women and children. You usually get the best price on Amazon.com. Note: For whatever reason, you can’t select the color on Amazon. Each color has its own listing. Just search for Nixy Newport to see all available colors. 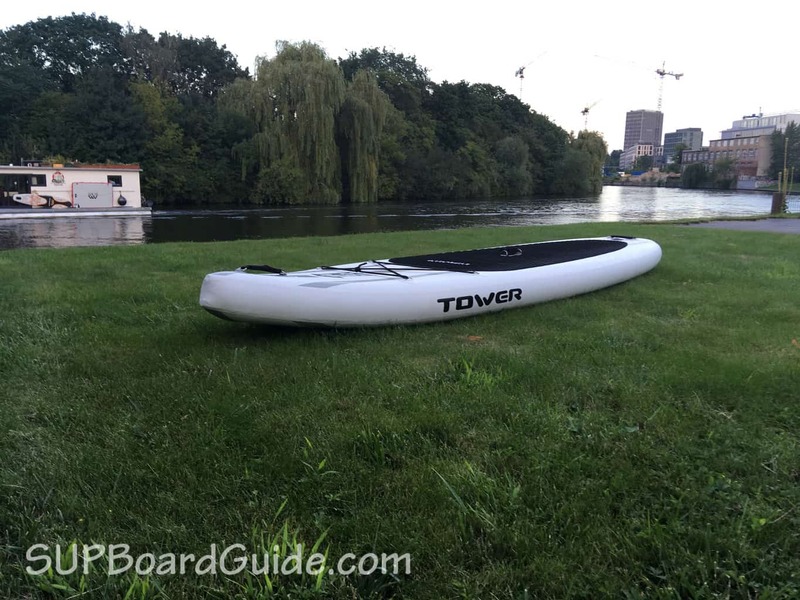 Sticking with the pattern of 10’6 size we also want to note the Tower Adventurer 2. There’s plenty to be admired on this All-Rounder SUP too. It’s 32” width for beginners is ideal. While 6” thickness ensures it stays rigid once you’re aboard. Tower have videos of driving over their cars to prove it’s durability, you can see it in the full review too. The improved shaped of the Adventurer 2 saw the nose becoming more pointed and a slight increase in the rocker. These improvements gave the board a little more give in surf/choppy conditions. 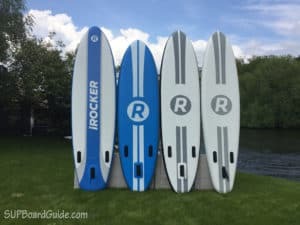 The centre fin is noticeably large which helps keep the board tracking in flatwater conditions, however, it would be better if the side fins could also be removed. As an entry-level board, it’s fantastic if you’ve already got your accessories sorted. You don’t want to pay the extra for things you don’t need. Do you need the accessories? 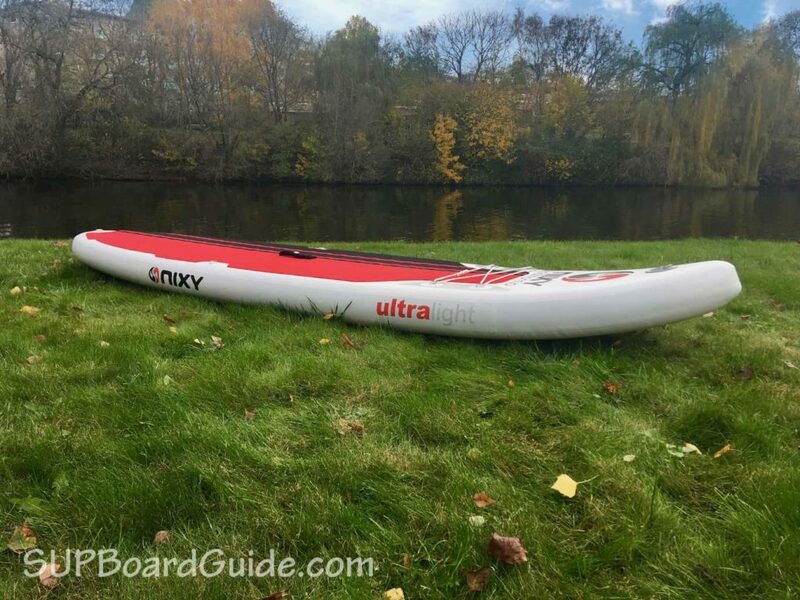 There’s an option to buy a package deal with includes a paddle and pump, as a beginner the paddle will be a breeze for you to use and relatively lightweight. Again, Amazon.com is a safe bet to get the best price. Easily stable enough for beginners. 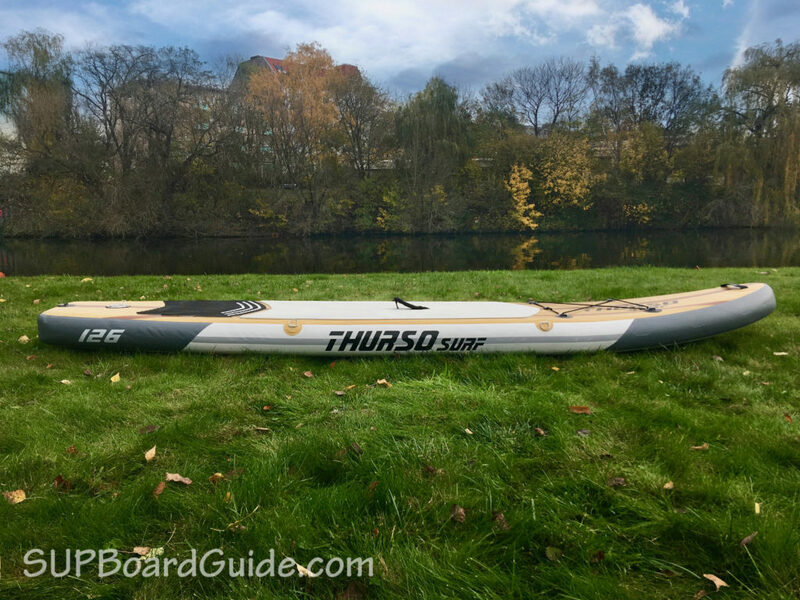 Just the sheer size of the SUP offers plenty of buoyancy. Much the same as the others, the Burke Quest is 6” thick. It’s the ideal thickness for All-rounders. It keeps the board rigid and being able to accommodate a number of different sized riders. We love the centre fin on this board, you can really notice the difference in tracking. Again, just a shame the side fins aren’t removable. The shape through the nose, tracking fin and size of the board does make this board a little faster than some of the other pre-mentioned SUPS. The accessories do let this board down. Again though as a beginner, this may not bother you at first. The paddle and backpack need improving if you are planning on using your Burke Quest regularly. But as always, there’s something that makes up for it. The design! It’s such a cool retro design, being seen is also a safety feature. This guy is for the lighter riders. 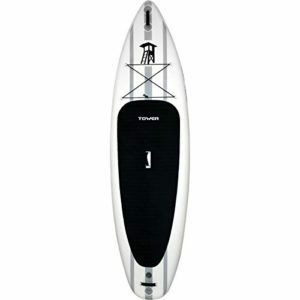 If you are falling in under the 70kg mark, this is a dream SUP to own. A pointed tail can make things a little tricky at first. It should only take a few trips to find your balance though. So if you are planning on using the SUP even semi-regularly, it’s a great option. 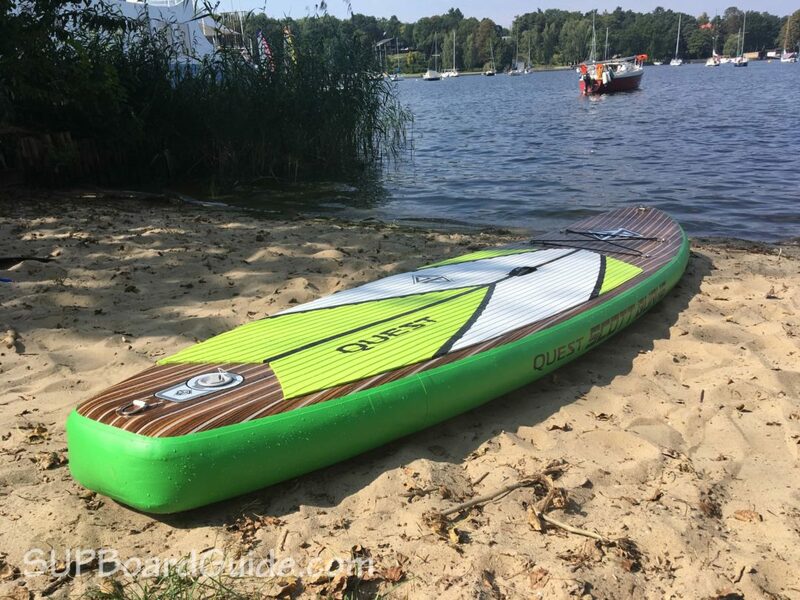 Once you have the hang of being on a SUP, you’ll find this board is easy to paddle and fast! 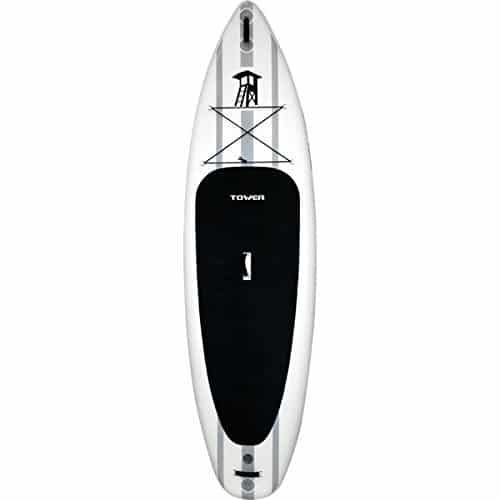 The pintail boasts impressive turning abilities in and out of the surf. Looking down the board, you’ll notice plenty of rocker for tackling chop and surf. 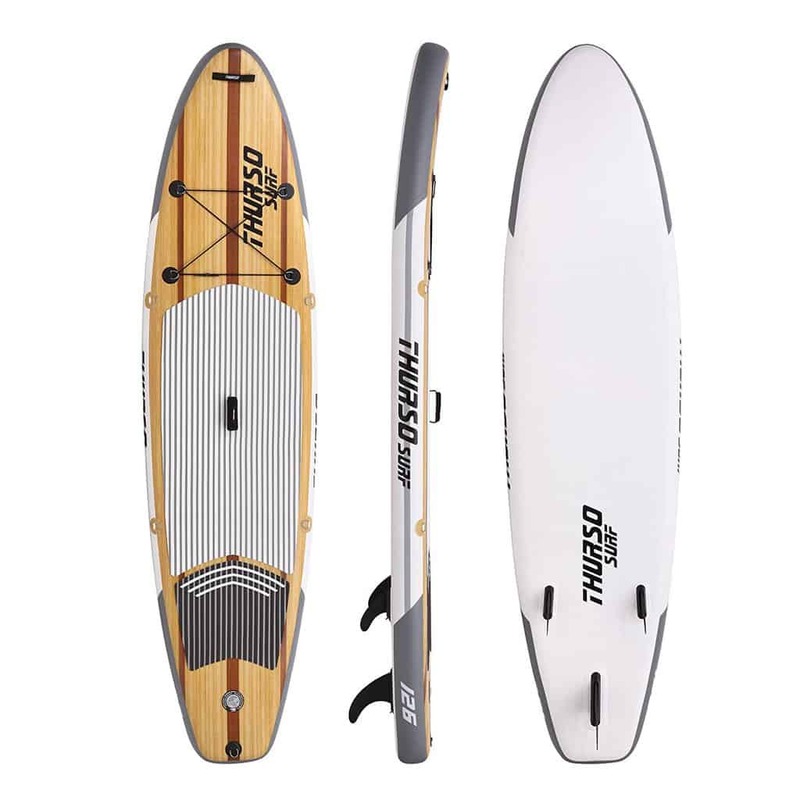 Don’t let that deter you from flatwater though, the 9” center fin is there to represent in flatwater conditions. For all your beginners that are yet to own anything, accessories are included. We particularly like that you have options to upgrade your accessories too. So if you are just starting out and don’t have much money to spend, stick with the standard package. If you’ve got a little to spare, we fiercely encourage you to buy the upgraded carbon paddle. You can buy the Cross on the Shark homepage. 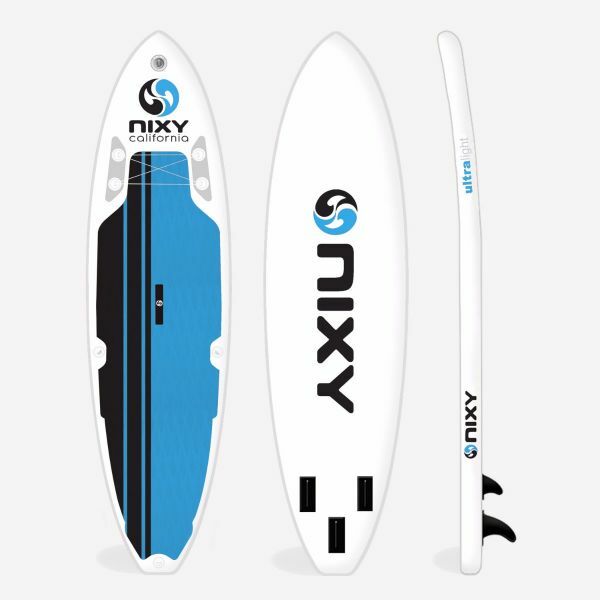 All the boards here are mentioned for being under the $1000 mark, stable and durable. So no need to point those factors out! As a beginner, you’ll love owning your own board. No more having to borrow or rent! Even better, imagine the first board you own stays with you, grows with you. It’s a worthwhile investment taking the time to look at this list and read up on beginner SUPs. 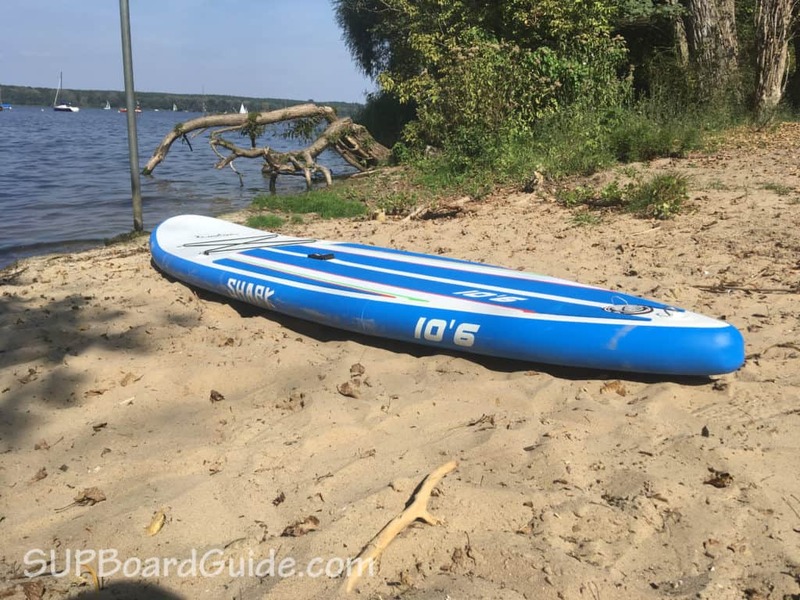 Don’t go buy the first one you see, many people will claim “SUPing is so easy after the first couple of times, any board will be fun!” which is true but the novelty can wear off. You want to get something that you’ll still enjoy riding once you are an average rider. You also want something that will endure the inevitable dings and knocks at the start. If you are still entirely stuck we suggest the iRocker Cruiser or Thurso Surf. These are our favorites! We can’t wait to hear about which board you end up choosing, please let us know below which SUP you end up with! Can you provide me with any information regarding the durability of boards made with IXPE skins? We live in an area where both rocks and sand are abundant and I am worried that a foam board with an IXPE skin will puncture or be gouged through the skin allowing water to penetrate the core. Just wondering?